North Peace Regional Airport is on an exciting ascent, confirmed by the news that 2018 was a record-setting year for passenger traffic. 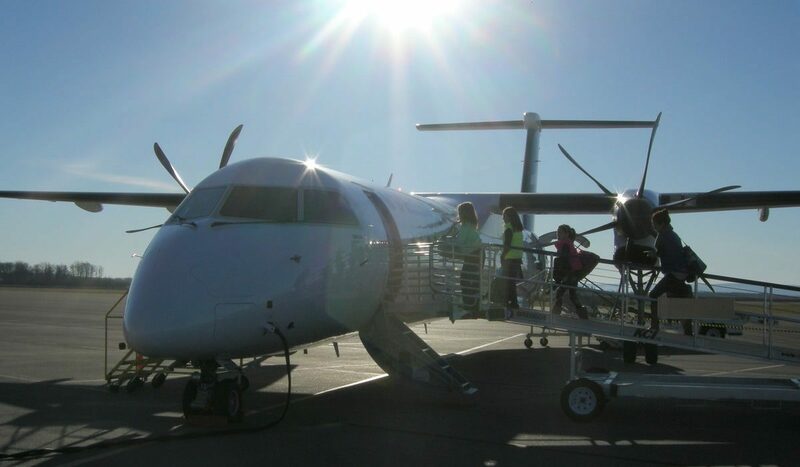 More than 268,000 passengers travelled through YXJ via the airport’s three commercial carriers – Air Canada, Central Mountain Air and WestJet. YXJ connects passengers to Calgary, Vancouver and Prince George – and to more than 100 onward destinations via airline hubs in these cities. An increase in business and corporate travel, added frequencies to Vancouver and Calgary and families booking well-deserved leisure trips fueled the growth. Thanks to the strength of the energy sector, charter traffic was also brisk in 2018. Officials estimate that more than 12,000 passengers travelled on charter flights throughout the year. The team at North Peace Regional continues to focus on safe and secure airport operations, maximizing the efficiency of the facility and offering a pleasant experience to its guests.